The 11th Annual Broncho Billy Festival takes place 27-29 June, at the Niles Edison Theater, Fremont, CA. 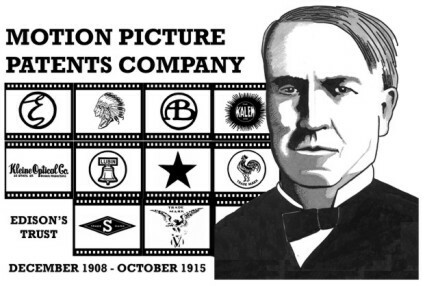 This year the festival marks the 100th anniversary of the formation of the Motion Picture Patents Company, that monopolistic organisation which sought to control all film production, distribution and exhibition in America, by programming titles from seven of the founder American companies that formed the MPPC: Edison, Selig, Kalem, Vitagraph, Lubin, Biograph and Essanay. 6:00 – 7:00 PM “Meet and Greet” at the Fremont Bank Building, 37611 Niles Blvd. Reception for our historians & special guests “All Film Festival Pass” holders are invited to attend. as it looked in 1913. Ride the rails with fellow film fans. Full details as always from the festival website.